Come be Merry and Happy as we celebrate the Holidays with a wonderful Networking event. This will be a fun relaxing event, with Can food drive/Toy drive , Speed Networking, an White Elephant/Cookie exchange, and a raffle. Can/Non-Perishable Food Drive / Toy Drive Sunnyvale Community Center Food Bank, and Holiday Toy Center is what we are collecting for. If donating new toy, please bring it unwrapped. Speed Networking Click here to learn about Speed Networking and the rules of the game. Additional Raffle tickets will be rewarded for great 30 second Elevator Pitches. White Elephant/Cookies Exchange This is to be fun and silly. Cookies should be labeled if they contain nuts, or are not gluten free. Items for the White Elephant can be gently used items. Think creative, fun and silly. For 1 raffle ticket: You will receive when you pick up your name badge. If you bring a friend to the event. When you are participating in the Speed Networking. Voted as one of the best Elevator Pitches. For the SILLY and Awesomely fun White Elephant gift you will bring. For each 2 cans/non-perishable items. 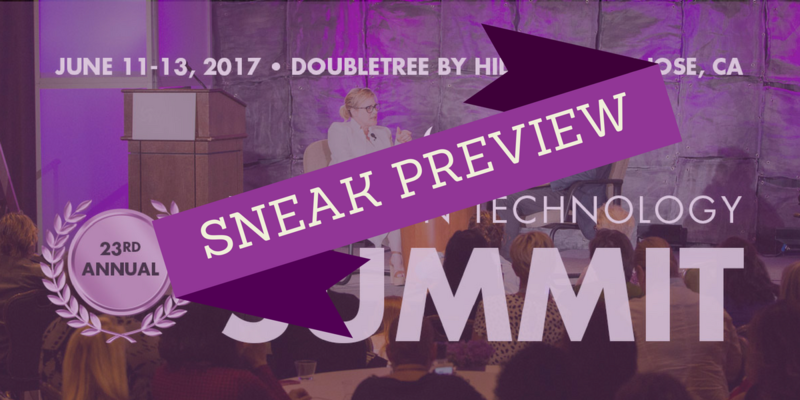 Come be part of the Sneak Preview of the 2017 Women in Technology Summit Event. There will be micro-coaching circles, learn about speed mentoring, micro-panel, micro-keynote, networking reception, as well as to hear more about the entire Summit that will be happening June 11th - June 13th, DoubleTree Hotel in San Jose California. Learn more about how you can be a "Summit Assistant" at this year's 23rd Annual Women in Technology Summit. We are looking for College Students, Unemployed, Part Time, Contractors, Consultants and Women from small companies as well as previous Summit Volunteers to help with our Summit Operations. We will go over the basics, the areas and answer any questions you may have about participating as a Summit Assistant, the Summit in general and what you can expect to accomplish at the summit. We will be having 2 keynotes, 2 panels, tours of Jabil and a networking reception, starting at 1pm. 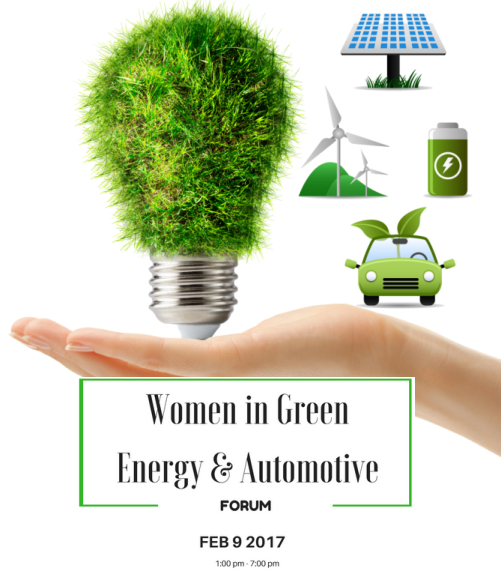 This will be a great opportunity for Women in Energy (Solar, Wind, Hydro etc) Women in Automotive to come together and discuss latest in technologies, innovation, opportunities for careers and investments.